Rosemary, how long have you been working with the media house? I started working with the media house five years ago in 2010. What attracted you to working with the media house? Claire Wormsley, the CEO of the media house, has developed a series of high quality training courses for the conference and events industry. These courses enable smaller companies to gain knowledge about the processes and standards from the leading international players of our industry. They set best practice. It gives me a sense of meaning to introduce her good courses to my Chinese peers. Other than the courses, Claire is also a very supportive partner that I enjoy working with. What is your background in events in China? What kind of training courses are you delivering and what makes them so special? I deliver two of the media house training courses, “Creating and producing compelling conference programmes” and “Maximise sponsorship sales for conferences & events”. I think what made the courses so special is that they have been developed by experienced industry practitioners. They include case studies, worked examples and are really practical. They have been developed to solve problems in real business life and are proven over and over again to provide valuable guidance and learning for the Chinese conference and events industry. #EAA19 - kicking off in style @hiltonhotels Brussels Grand Place. Table six having fun at #EAA19 we are the best! We'll keep you up to date with all the winners as they are announced, so watch out for your favourite. 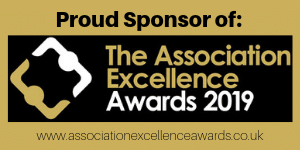 The Media House are delighted to be proud sponsors of the annual Association Excellence Awards taking place on 11th October. As a training provider for the conference and events sector we have a large number of associations as clients so it is great to celebrate their success.